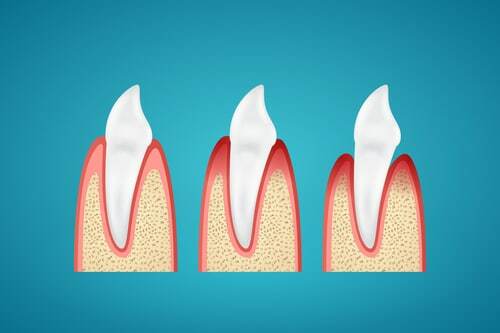 Gum disease ranges from simple, relatively easy-to-treat gum inflammation, right through to much more serious diseases that can cause severe damage to the soft tissue and bones that support your teeth and jaw. Rest assured though, the expert team at dhealth Dentistry Camberwell can help with gum disease treatment, regardless of how severe or what type. Our dental therapist will begin by assessing the health of your gums. A thorough scale and clean or a scale and root plane (depending on the severity of gum disease or periodontal disease) will then be performed. Our friendly, caring team will even provide thorough home care education, instructions and advice. Follow ups every three to six months may be required in order to monitor your body’s response and the improvement of the health of your gums and teeth. For severe cases that do not respond to conventional treatment, laser therapy may be recommended, which will be performed over the course of several visits. Surgery will only be used as a last resort. As always, our gum disease treatment begins with a thorough examination of your gums and teeth. During this examination, we will inspect your gum tissue and measure the gum pocket depths around your teeth using a very small probe. We may need to take x-rays of your mouth in order to determine the amount and type of bone loss that has occurred. Based on the results of our examination, we will be able to provide a comprehensive diagnosis of the type and severity of your gum disease. First, a thorough scale and clean will be performed. This removes all plaque and calculus (hard plaque) deposits that have built up around your teeth and gums. Depending on the amount of calculus build-up and the severity of your gum disease, this may need to be performed over more than one visit, and may require local anaesthetic to ensure that you are completely comfortable and at ease. Our friendly team of dental experts will also educate you on caring for your teeth and gums at home; we are always happy to demonstrate proper teeth cleaning methods. We may ask you to use a special antiseptic mouth wash if two scale and clean visits are required to help toughen up your gums and aid in the healing process. For severe cases that do not respond to this treatment, we can then arrange a referral for an experienced periodontist who will be able to assist you with specialist gum disease treatment and management. If gum disease is left untreated, in severe case, it can result in tooth loss. Treating gum disease early is the best way to prevent missing teeth. Often times, gum diseases is accompanied by a range of painful side effects and symptoms, including gum tenderness. These side effects make every day activities (such as eating and brushing your teeth) difficult. Treating gum disease eradicated these side effects. Halitosis (also known as bad breath) is commonly associated with gum disease. Treat the cause of the problem, and you’ll find that your bad breathe disappears. Gum disease is usually accompanied by bleeding gums. Treating gum disease will stop this embarrassing state of affairs, improving the aesthetics of your smile, along with your self-confidence.